Easycove® coving can be mitered to any angle, and with the added feature of our DoveLock™ interlocking bond channels, can accommodate any inside or outside angle. 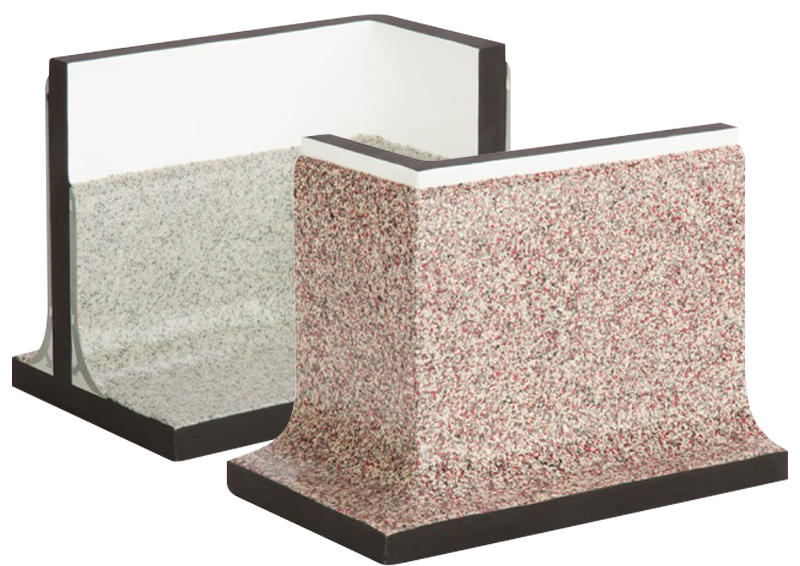 However, demand in this industry continues to express an interest in pre-formed corners, and Easycove® has responded with our newly developed cove corners. Each Easycove® pre-formed cove base corner replicates the unique DoveLock™ engineering, and further encourages saving time, reductions in materials and labor costs, and continued ease of typical coving installations. Depth from Wall: < 1.25"